Candidates are advised to carry all the necessary documents for UPSC civil service personality test. The list of required documents are given on the UPSC's official website. The marks in UPSC 2013 civil service main exam obtained by the candidates who have not qualified in the exam, will be published within 15 days from the date of publishing of final result and this scores will be available for a period of 60 days. To view the roll numbers of shortlisted candidates for UPSC civil service 2013 main exam, check here. Many many congratulations to all successful candidates! All the Best for your personality test. 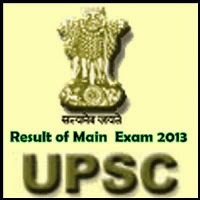 0 comments for " Result of UPSC Civil Service (Main) exam 2013 declared "